In normal situations, creditors effect a charge-off when a customer payment is overdue – usually for a period of six months. This doesn’t just mean a bad credit card status. It goes further to make a negative impression about you in the eyes of your issuer, and affects every other thing that affects your credit standing, and it makes it much harder for you to obtain a credit card, get approval for a loan or gain access to other credit-related services. As soon as you gain approval to get a credit card, you’ve agreed to the terms and conditions offered by the card issuer. A simple instance is where you accept to make a minimum payment before an agreed date. If you fail to make this minimum payment for six months in a row, your card will be put in default. After some time, your card issuer shuts down your account, and then reports the default as a charge-off to the credit bureaus. During the course of these six months which leads to the default, the card issuer also sends reports of the late payment status to the credit bureaus. But before then, your credit score will begin to decline as a consequence of several late payments. At these times, it is highly probable for applications for new credit cards and loans to be turned down, with the reason being that creditors will most likely see you as potentially defaulting your new card. In some cases, creditors even go the extra mile to turn down applications that are yet to pay the charged-off balance. Recently, it has been noticed that Americans are getting more and more enveloped in debt. This report is based on the key indicators employed by analysts, including the Q2 2018 Household Debt, and Credit Report which was carried out by the New York Federal Reserve. Results from this report show that America has noticed a hike in household debt continuously for the 16th quarter in a row. Also, the most recent reports of consumer debt show that it is huge, and is just slightly under $14 trillion, with as much as $9.43 trillion of that being household debt. The only positive aspect of this situation is noticeable in the single economic index, which suggests that Americans are managing a part of the debt load well, owed to the reduced credit card default rates these days. The S&P/Experian Consumer Credit Default Composite Index refers to a metric of the total default rates on all credit cards, auto loans and first, second and third mortgages with every indicator allocated to a unique index. The composite index shows that while overall default rates have stayed constantly flat throughout the past three years, credit card defaults encountered dips in May, June, and July. The Composite Index has experienced constant fluctuations between 0-8 and 1 since April 2015. To give a little bit of context, it should be noted that the index peaked at 5.51 in May 2009 during the lowest points of the housing crisis and the recession that followed. Owed to the speed of the economic recovery, which was relatively slow, the index experienced a decline below 2.0 in March 2009 and dipped even further below 1.0 in the course of the next three years. A lot of people believed that this had an effect on the mortgage as well as auto loan indexes causing them to go in the same direction throughout the same period of time. The credit card index increased up to 9.15 in April 2015 and also encountered a constant dip to 2.49 in December 2015. After these times, several other waves of increases and decreases have had taken turns. Currently, experts think that we are experiencing a decreasing wave, and in July 2018, the index dipped to 3.56 from 3.86 where it was in April. All of these analysis means that the index has experienced a change, though logically, in order to indicate the tightening of credit that is prevalent. This could be expected after the post-recession surge in defaults, which caused credit cards to tighten and as a result, only highly qualified borrowers had access to loans, which lessened the rate risky loans as well as defaults. These days, it has become very regular for people to own credit cards. 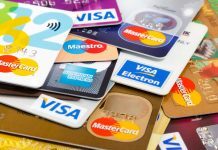 Also, credit cards symbolizes a great amount or risk levels which makes them subject to more fluctuations. Despite the fact that credit cards defaults have reduced significantly, there is no corresponding decrease in credit card debt. 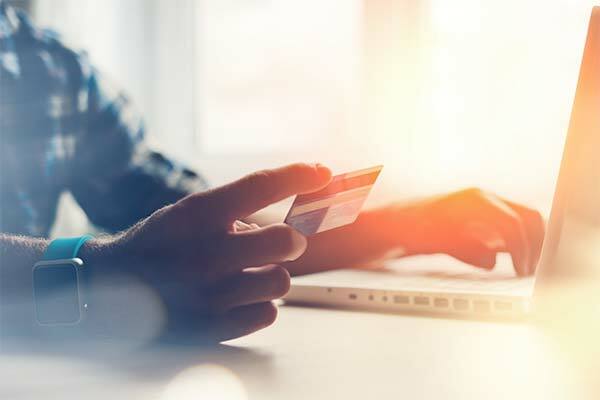 Based on Household Debt and Credit report, it can be deduced that credit card debt has experienced an increase of up to $14 billion in the second quarter. Presently, households have been affected by credit card debt growth owed to the interest rates which is high, as opposed to what was obtained in the past. 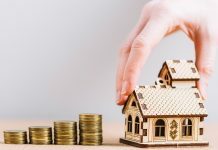 At present, the average annual percentage rate (APR) is about 17% – which is significantly higher than a lot of mortgage rates and also, fairly higher than the interest rates that are tied to other types of debt. Additionally, if one misses payment, they face APR levies of up to 30%. Are you one that is in the habit of carrying balances? Then you should make sure to get the best credit score that you can possibly get, in order to attract excellent interest rates. Carefully inspect your credit card reports on a regular basis to check for errors or fraudulent transactions that can lead to lesser scores which you may not be aware of. Ensure to make all payments at once, because they are most effective in raising credit scores. Agree to terms that you can abide by; never accept a charge that would be difficult to pay when the month ends. This is amongst the best ways to prevent interest charges and credit card debts that are not necessary. 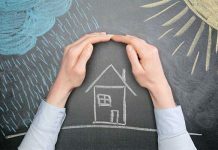 Not everyone can adopt this pattern, but it is very essential that you draw-up a plan that will consider the aspect of making timely payments to prevent debt. Lastly, if you’re in multiple debts, it is great to decide on which debt you want to clear up first, and then plan towards it – regardless of if it is the one with the lowest balance or the highest interest rate. In a case where you have enough money to make additional payments against principal on mortgages and other installment loans, you should do so – to help cut down on interests. 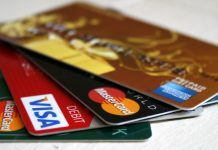 Then again, it is very essential to plan for eventualities and delegate some funds for that purpose to prevent the use of credit cards in those dire situations.